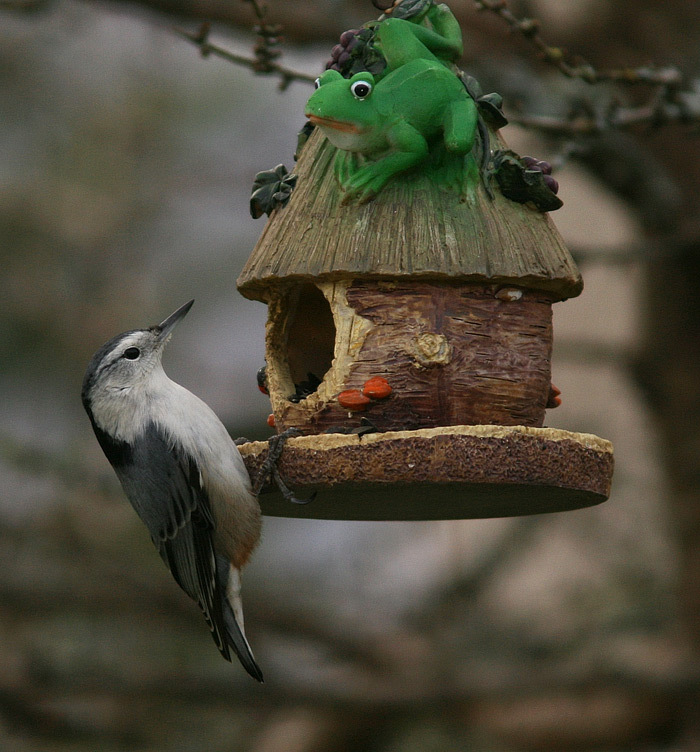 This female White-breasted Nuthatch was frequenting a backyard in St. Lawrence during November-December 2011 – the first and only record for Newfoundland. Origins: Breeds across much of the United States and southern Canada, including the Maritime provinces. However, it is generally non-migratory and hence an unlikely vagrant to Newfoundland. Record Details: Two records for Newfoundland. The first was visiting a property in St. Lawrence (Burin Peninsula) for about three weeks (~November 10 until mid-December) in 2011. The second was at a property in Sandy Cove (Eastport Peninsula) from April 22-30, 2013. Both were females, but appeared in photos to be different individuals.